Firebase Industries Ltd. is proud to announce that on Friday, January 20th and Saturday, January 21st of 2012, 100% of the net revenue from Firebase Industries’ Xbox Live Indie Game, Orbitron: Revolution will go to support the British Columbia Cancer Agency through the BC Cancer Foundation’s Ride to Conquer Cancer event. 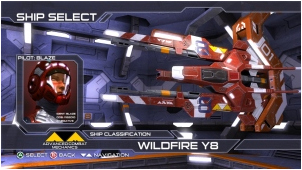 developed on the Microsoft XNA 4.0 platform using Synapse Gaming’s Sunburn 2.0 rendering engine. Orbitron: Revolution was entered into Microsoft’s Dream Build Play 2011 competition where it took a spot with the top 20 semi finalists from more than 200 game entries. Countdown – a wave based score attack mode that has the player racing against the clock to score as many points as they are able within a three minute time limit. Players build up points by shooting enemy droids as quickly as they can to increase their multiplier. 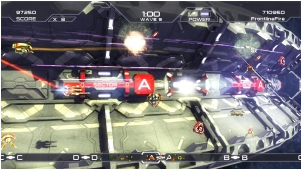 Players need to use action strategy and choose when to release their power abilities as well as target certain enemies for maximum enemy destruction. Guardian – protect the four Sector Ports around the Orbitron ring from laser drilling attack droids. Each Sector Port has a numeric health associated with it and when three of the four Sector Ports are destroyed the Orbitron Ring explodes. Extra Mode – survive as long as possible with a single ship against an ever increasing spawn of enemy droids. Full Instant Replay system for use in Countdown Mode. Players may fast forward, rewind, pause, and even select five different camera positions to view and track the action. 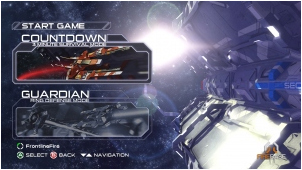 Ship Select where the player may choose between two visually different space craft. Xbox Live Gold Members can add and compare their scores with others using the online high scoreboards. Orbitron: Revolution features music by Audio Antics (Geometry Wars: Retro Evolved) and sound design by Studio X Labs (Homeworld). This entry was posted on Friday, January 20th, 2012 at 6:13 am and is filed under Everyone 10+, National News, New Releases, Shooters. You can follow any responses to this entry through the RSS 2.0 feed. You can leave a response, or trackback from your own site.